Crumbs! Christmas is looming on the horizon and, yet again, I’m totally unprepared. 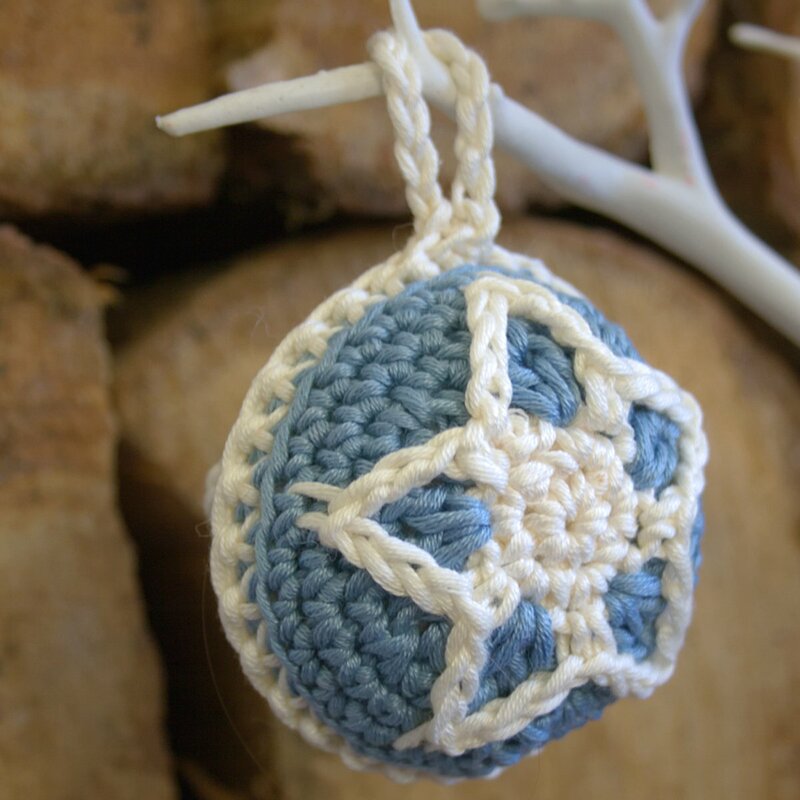 However, I have managed to finish my latest crochet pattern for a Christmas star bauble. This is an amazing achievement for me as I usually finish Christmas designs in January or February! The pattern is intermediate level because it uses front loop and back loops stitches. The pattern is in written format but includes some helpful photos for the tricky bit. The baubles are nice and quick to make so you’ve still got time to rustle some up before Christmas! You’ll need some polystuffing or something similar to fill the baubles. I’ve used Drops Muskat which is a lovely cotton yarn. Any DK weight cotton yarn would work beautifully though. The colours I’ve used are Scandinavian inspired, which is the look I’m trying to go for this Christmas. Lovely muted blues, deep red and off white. The baubles will look really nice mixed in with my other Christmas Bauble design (click this link to see it) which I’m going to make in the same colours. 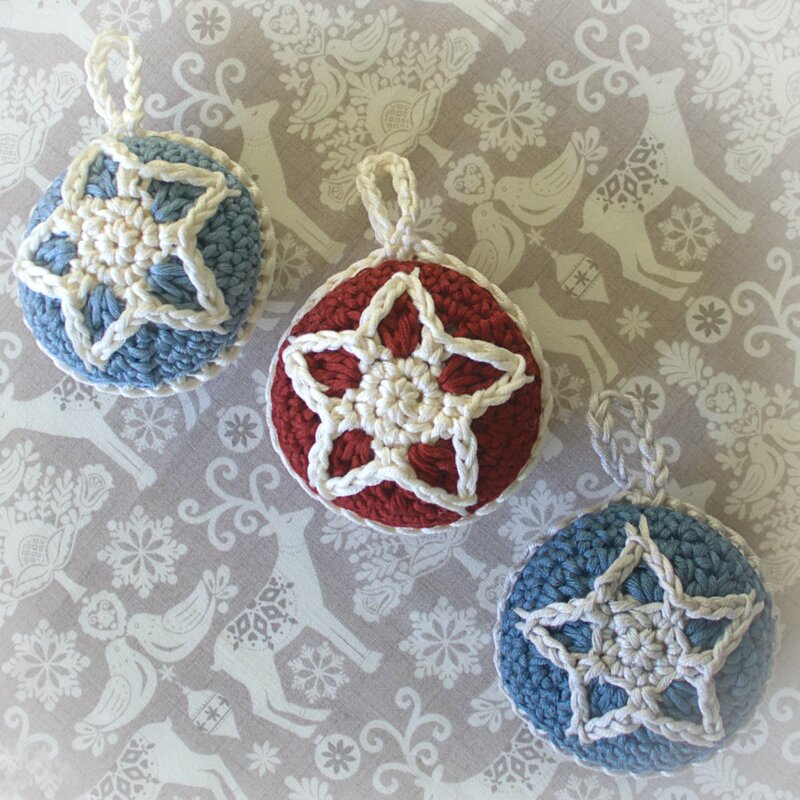 If you’d like to make some cute little baubles you can purchase the pattern by clicking on the links below. 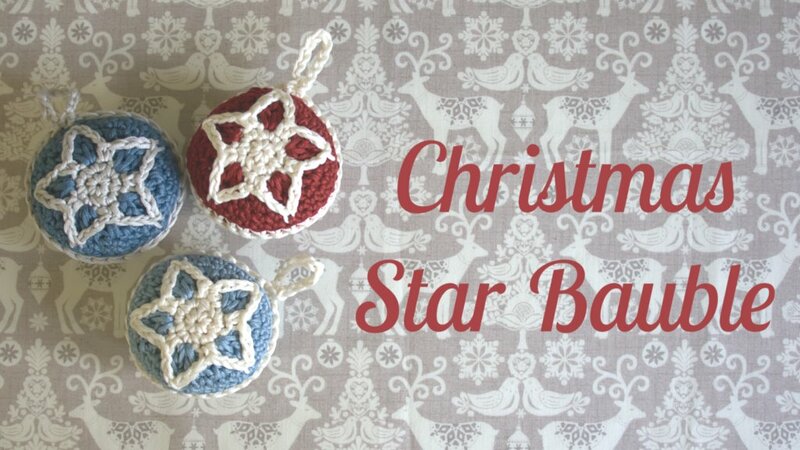 Christmas Star Bauble is also available on lovecrochet.com and craftsy.com. I hope you enjoy the pattern! 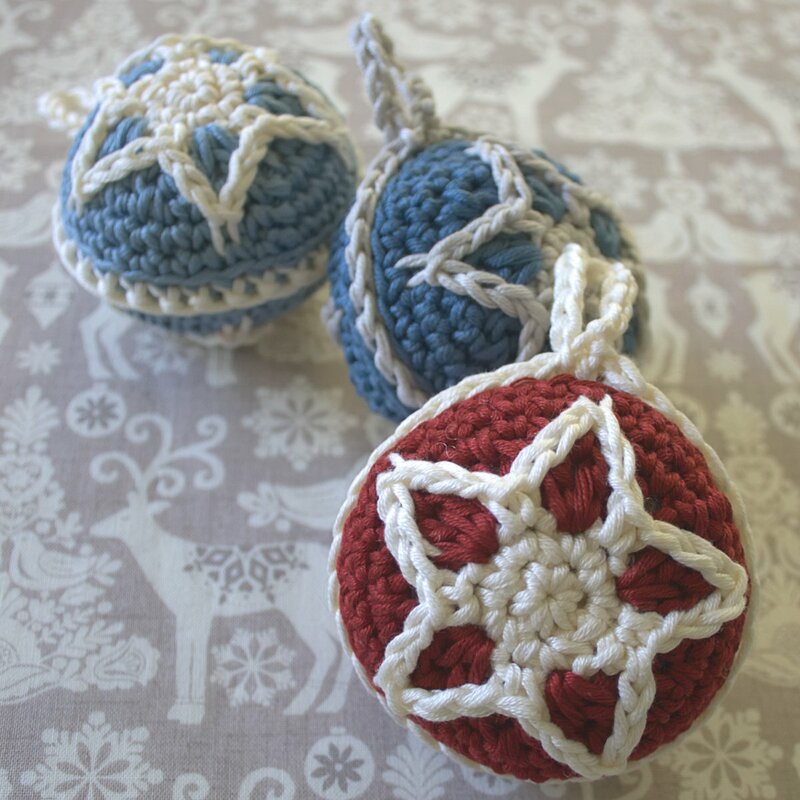 I’m going to spend the evening crocheting some more of these cute little baubles while wondering what Santa is bringing. I’m hoping for a Nikkon SLR camera with an ultrawide lens and a new pair of slipper boots. I think I know which of the two will be under the tree!